Pols That Take On the NRA Lose | The Doctor Will See (All Of) You Now | Can Georgia's Mysterious Monument Help the Local Economy? Can Georgia's Mysterious Monument Help the Local Economy? 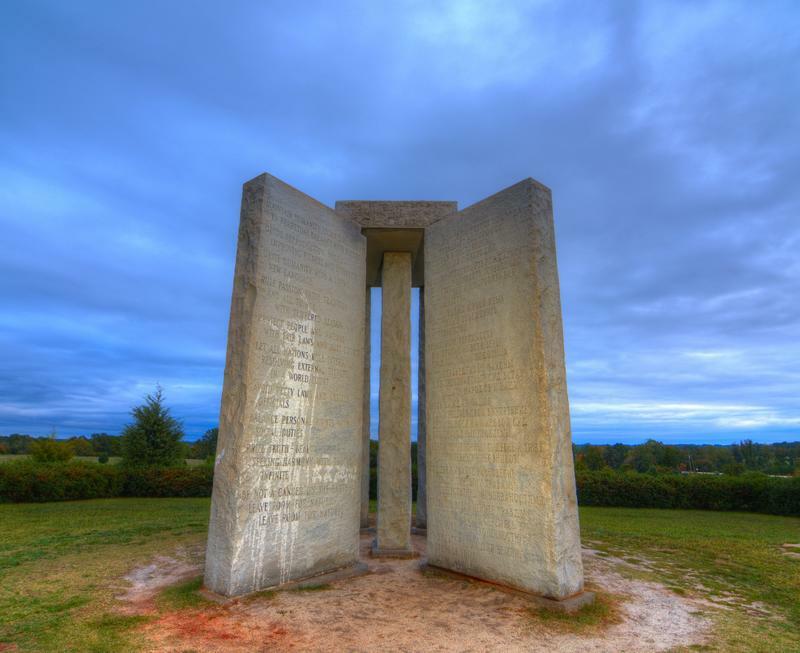 The Georgia Guidestones, occasionally referred to as "American Stonehenge," October 12, 2011 in Elbert, GA. The inscription is of 10 principles in 8 different langauges.